Over the past three decades, Charles “Chuck” Bordis has had the opportunity to represent clients in all areas of Chancery Court, including but not limited to divorce, custody, child support, alimony, equitable distribution of assets, conservatorships, guardianships, emancipations, injunctive relief, partition suits, easements, property line disputes, judicial foreclosures, estates, will contests, muniment of title, school board appeals, and bond validation. Chuck also has vast experience in real estate transactions, personal injury actions, and insurance disputes. He has practiced in Court, throughout the state, and handled numerous appeals to the Mississippi Court of Appeals and the Mississippi Supreme Court. In addition to maintaining a private practice, beginning in 1992, Chuck served as Chancery Court Master in Jackson County, Mississippi, hearing cases and making recommendations to Chancellors. In 1999, he was appointed as Family Master in the Sixteenth Judicial District of Jackson County, during which he presided over approximately 1000 cases each year involving paternity, child support, contempt, modification, divorce, custody, visitation, DHS matters, and any other matters referred by Chancellors. Additionally, for 16 years, Chuck represented the Ocean Springs School District, as well as other school districts in south Mississippi. On February 21, 2009, Governor Hayley Barbour, recognizing his skill and experience in Chancery Court, appointed Chuck as Chancery Court Judge in the Sixteenth Judicial District of Jackson County to fill the vacancy of Randy “Bubba” Pierce, who accepted an appointment to the Mississippi Supreme Court. Chuck was re-elected to this position in 2010. After serving the duration of this term, he retired from the bench to re-enter private practice. Since stepping down from the bench, Chuck has enjoyed a thriving Chancery practice. Additionally, given his prior judicial experience, he is frequently retained as a mediator or arbitrator to preside over contract disputes, divorces, and any other issues requiring alternative dispute resolution. Chuck currently resides in Ocean Springs, Mississippi with his wife. He enjoys coaching youth sports, attending local sporting events, and spending time with his family. Over the past three decades, Charles “Chuck” Bordis has had the opportunity to represent clients in all areas of Chancery Court, including but not limited to divorce, custody, child support, alimony, equitable distribution of assets, conservatorships, guardianships, emancipations, injunctive relief, partition suits, easements, property line disputes, judicial foreclosures, estates, will contests, muniment of title, school board appeals, and bond validation. 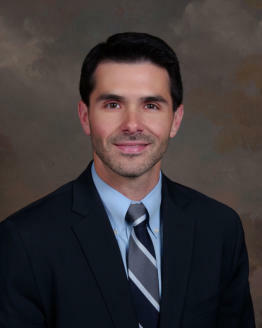 Chuck also has vast experience in real estate transactions, personal injury actions, and insurance disputes. He has practiced in Courts throughout the state, and handled numerous appeals to the Mississippi Court of Appeals and the Mississippi Supreme Court. Josh Danos has over fourteen years of litigation experience representing municipalities, large corporations, insurance companies, health care providers, and individuals. 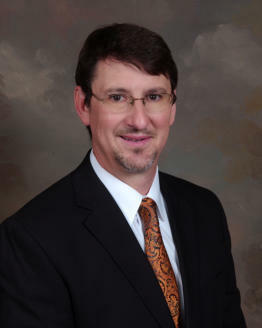 He is licensed in the State and Federal Courts of Mississippi, and is also a member of the Texas and West Virginia (inactive) Bar Associations. Over the last 14 years, Josh has tried dozens of cases before judges and juries in Courts across the Mississippi Gulf Coast. Many such trials involved allegations of medical malpractice, premise liability, municipal liability, automobile negligence, products liability, and toxic torts. In addition to his litigation background, Josh has experience in real estate transactions, construction disputes, and criminal defense. He has also navigated numerous mediations and/or arbitrations, obtaining very favorable results for his clients. After an extensive review by his peers, Josh received the rating of BV Distinguished from Martindale-Hubbell, which denotes an extremely high level of legal knowledge, analytical capabilities, judgment, communication ability, legal experience, and ethical standards. Additionally, he has been awarded the distinction of Mid-South Rising Star by “Super Lawyers Magazine” in 2014, 2015, 2016, and 2017. Josh currently resides in Ocean Springs, Mississippi with his wife and three children. He enjoys fishing, golfing, and spending time with his family.